Magda, the dazzling courtesan, finds true love with Ruggero during a magical night in Paris. Alas, the soaring music of Puccini belies the heartbreak to come. Featuring the Song of Doretta, perhaps Puccini’s most beautiful aria. Super Hot Summer Musical Super Secret Tho! J.S. Bach’s Saint John Passion is the closest the composer ever came to writing an opera. The story of the Crucifixion unfolds in an epic arc of majestic choral narrative, imbued with a musical variety and unbridled intensity that is unrivaled in sacred music. 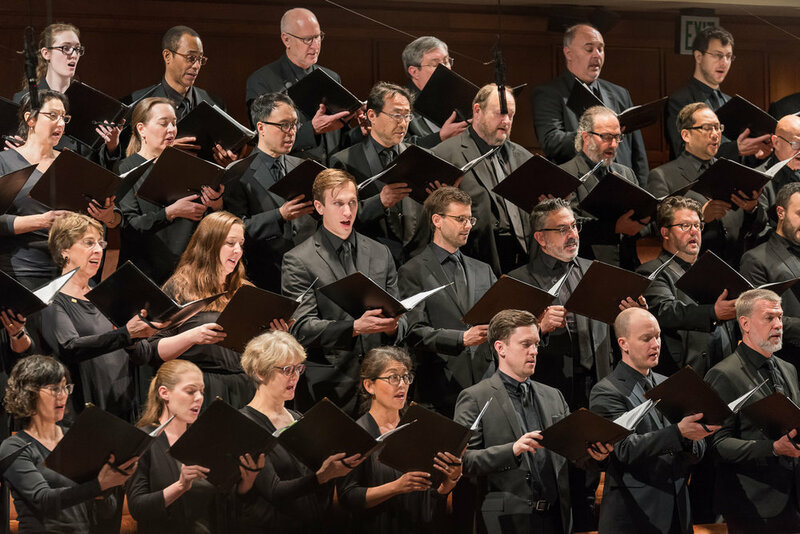 Join the SF Symphony Chorus, an acclaimed cast of soloists, and Baroque ensemble Voices of Music for one of the greatest choral works in classical repertoire. Marin Baroque: "Vespers" with music of Locatelli, Mouret, and Mozart. Directed by Daniel Canosa. First Presbyterian Church San Anselmo, 72 Kensington Rd, San Anselmo, CA 94960. Saturday, March 16, 8 pm. SILENT AUCTION starets at 6:45! Don't miss these great items and services to bid on! Come early! “Once upon a time” begins some of the most beloved fairytales of all time, and it’s easy to imagine how enchanting the accompanying music is in the ballets, plays, and Disney movies these tales inspired. Dress up as your favorite storybook character and experience the musical storytelling of fairytales as the SF Symphony performs selections from Beauty and the Beast, Swan Lake, Cinderella, Mother Goose, and more. Don’t forget to bring a fairytale book to get signed by a surprise guest! Sunday, February 24, 2019 at 5:00 p.m.
A Little Night Music is the enchanting story of three couples and their romantic machinations, set during the magical and romantic midsummer of Sweden at the turn of the last century. The story of the play unfolds through the eyes of the young and the memories of the old. The show employs an affectionate nod to the operetta style, blending witty and urbane dialogue with beguiling melodies. The proceedings are both manipulated and reflected on by a quintet of singers serving as a Greek chorus of sorts, sometimes participating in the action while offering commentary on the white lies, false witness and little treacheries of the lovers throughout the story. This exquisite blend of theatre and music styles provides an enchanting adventure as it explores the themes of lost loves, the yearning of the young, the sometimes foolishness of re-discovered middle-aged love and the gilded memories of the old. Accomplished stage director Dennis Lickteig directs his first show with us since becoming Lamplighters’ Artistic Director. Friday, December 7, at 7:00 p.m.
Saturday, December 8, at 2:00 p.m.
Saturday, December 8, at 7:00 p.m.
Sunday, December 9, at 2:00 p.m.
Opera Parallèle presents a new production of The Little Prince. Based on the beloved French novella (one of the most translated books in the world), Creative Director Brian Staufenbiel and Artistic Director/Conductor Nicole Paiement join forces to bring this poetic tale to life. This philosophical story for all ages, in which a pilot stranded in the desert meets a young prince who has fallen to Earth from a tiny asteroid, explores universal themes of friendship, love, loss, truth and innocence. Through the lens of a child-like wonder, the work makes profound observations about life and human nature. 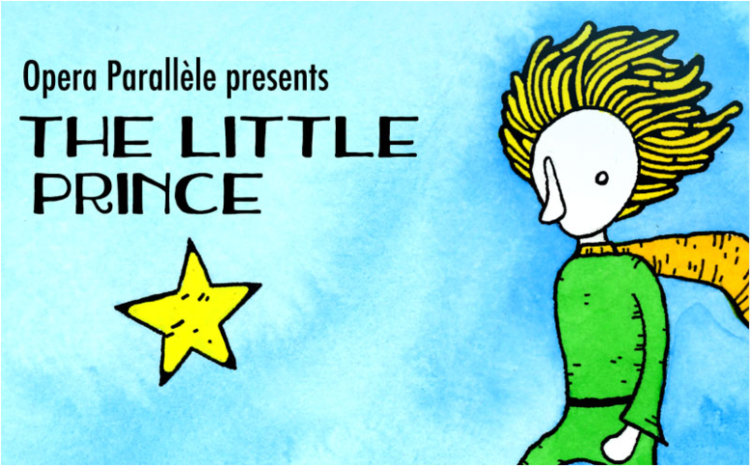 Led by a strong cast of singers, and in collaboration with the San Francisco Girls Chorus, Saint-Exupéry’s timeless tale is told through lush music, colorful costumes, innovative staging and visual projections based on original illustrations by Matt Kish. This new production features a universal appeal with a feminist touch, as the principal characters are played by women and girls. Presented by Music on the Hill, Gaude performs "Reincarnations," an exploration of musical rebirth and spiritual resilience. 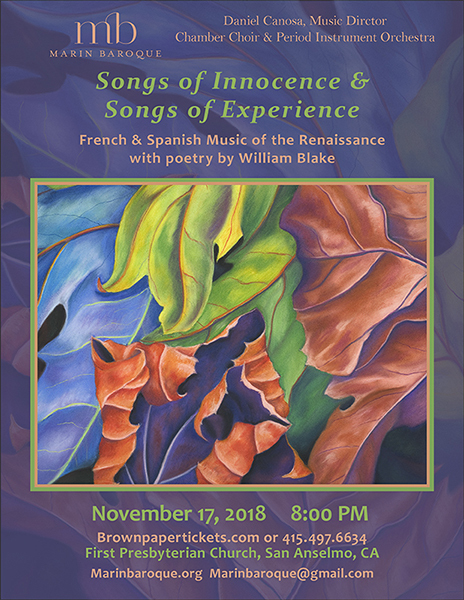 The concept has captured the imagination of composers and artists for centuries, and is brought to life in this diverse program including modern settings of ancient texts and melodies, given new life by composers years--or centuries--later. Repertoire includes Janequin's rollicking "La Guerre" and the sublime "Missa La Batalla," by Spanish composer Francisco Guerrero, using Janequin's musical themes a generation later in an entirely different context. Other highlights include Barber's "Reincarnations," setting old Irish texts in dynamic and dramatic tones; the ancient Russian Orthodox "Bogoroditse Devo" in settings Romantic and modern by Rachmaninoff and Arvo Pärt; Steven Stucky's imaginative "Drop Slow Tears," reimagining the English Renaissance hymn by Orlando Gibbons; excerpts of Poulenc's contemporary French madrigals, "Sept chansons"; the sublime music of Palestrina and Monteverdi; and settings of Gregorian chant both ancient and contemporary. Cappella SF takes you from the early fifteenth century through the blooming of English Baroque all the way up to the present day. With so many outstanding British composers, and glorious music, you will be truly transported under the spell of Cappella SF! James MacMillian, Joby Talbot and more. Michael Tilson Thomas leads an internationally renowned cast in Mussorgsky's opera. Inspired by Pushkin's Shakespearean tragedy, the work follows the rise and fall of the 16th-century Tsar Boris Godunov in a story underpinned by ambition, power, and betrayal. Don't miss this semi-staged event with original video projections, costumes, scenery, and lighting design that combine to bring Mussorgsky's original orchestration to life. Heralded by the San Francisco press for its “dazzling” and “sublime” performances, California Bach Society showcases Marc-Antoine Charpentier’s best choral works. Artistic director Paul Flight leads the award-winning 30-voice chorus, vocal soloists, flutes, and a full consort of viols in the poignant Litanies de la Vierge and the splendid Missa Assumpta est Maria. With vocal soloists Samuel Faustine, tenor; Timothy Silva, tenor; and Clayton Moser, bass. Instrumentalists joining the 30 voice, award-winning chorus for these performances are Vicki Melin and Alissa Roedig, baroque flutes; Marie Dalby Szuts and Amy Brodo, treble gambas; Julie Jeffrey, alto gamba; Roy Whelden, tenor gamba, Lynn Tetenbaum, bass gamba; and Yuko Tanaka, organ. *Available only at the box office. “Endless pleasure, endless love, Semele enjoys above.” Well, not quite—alas, she went too far. In doing so, she gave the world some of its most treasured music. Handel’s only opera in English, featuring some of Pocket's most virtuosic singers! One of the great romantic comedies of Smetana, the celebrated Czech composer. Ragnar Bohlin and Cappella SF present a concert of contemporary choral music by our own Bay Area talented composers. The concert features Sirens, a glorious song cycle by Mason Bates, Musical America's 2018 Composer of the Year, and pieces by four Cappella SF singer/composers - Elliott JG Encarnación, Ben Jones, Elizabeth Kimble and Clayton Moser. The audience is cordially invited to a reception after the concert to meet the performers. This final installment of a large, hour-long work for vocal quartet, percussion quartet, and two keyboards, based on a book with the same name by Dr. Richard Selzer. This semi-staged work uses Dr. Selzer’s lyrical, and often graphic, musings on surgery and the mysteries of the human body. Not quite an opera, and not really music theater, this work is a “medical oratorio” that finds the teases out the sacred elements in the operating theater. At Valentine’s Day, The Stage puts its unique style on a musical masterpiece with a re-envisioning of the revered Sondheim classic Sweeney Todd. 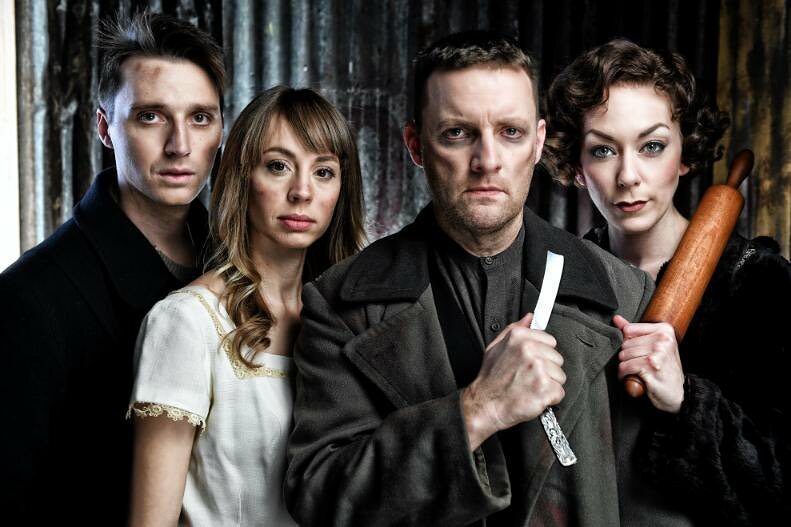 A contemporary envisioning of the classic & infamous tale of Sweeney Todd, an unjustly exiled barber returns to London seeking vengeance against the lecherous judge who framed him and ravaged his young wife. The road to revenge leads Todd to Mrs. Lovett, a resourceful proprietress of a failing pie shop, above which, he opens a new barber practice. Mrs. Lovett's luck sharply shifts when Todd's thirst for blood inspires the addition of a unique ingredient into her meat pies that has the people of London lining up... and the carnage has only just begun! Sondheim’s score masterfully guides us along the border of love and vengeance. * Actors appear courtesy of Actors’ Equity Association. Tickets may be purchased online at https://www.thestage.org/tickets?eid=21867 or by calling (408) 283-7142. Gaude is a professional, a cappella octet comprised of some of San Francisco's most sought-after vocalists. Gaude seeks to engage the concert-going public, new listeners, and students through approachable, joyful, and polished performances of repertoire from the Renaissance and beyond. Friday, December 1, at 7:00 p.m.
Saturday, December 2, at 2:00 p.m.
Saturday, December 2, at 7:00 p.m.
Sunday, December 3, at 2:00 p.m.
As Part of Volti SF, Sam performs Death With Interruptions; more info to come. Sam plays several roles in the Lamplighter's Annual gala. Every Lamplighters Gala is a unique event – more fun-raiser than fundraiser – featuring up-to-the-minute, hilarious parodies lampooning current events, crazes, fashions and fads––an original, full-length, and fully-staged satire set (mostly) to the music of Arthur Sullivan, with a nod to W.S. Gilbert. This year we are parodying Saturday Night Live! with your host, Wonder Woman! Plus skits featuring Batman and the Avengers, the Coneheads, Game of Thrones, Church Lady, Hans and Franz, the little voices inside Drumpf's head, and much, much more. You’ll also have the opportunity to support the Lamplighters at a silent auction, raffle and brief fund-a-need live auction, and to join the costumed performers after the show for a free champagne reception! Gaude will perform Heaven Full of Stars–a program of dynamic, a cappella choral music covering eight centuries. Poets and musicians through the ages have looked to heavens for inspiration, solace, guidance, and celebration. These impulses are heard through the eclectic voices of composers from Medieval Italy, the Spanish Renaissance, German Romanticism, and today. GAUDE is a professional, a cappella chamber ensemble based in San Francisco, California. Directed by Jace Wittig (former Interim Director of the Grammy Award-winning ensemble, Chanticleer), Gaude presents a cappella masterpieces from the Renaissance and beyond in intimate settings with modern sensibility. Gaude seeks to engage the concert-going public, new listeners, and student musicians alike through unique programming and joyfully artistic performances. “Gaude” means “Rejoice” in Latin—the most common language for Sacred Renaissance music, which forms the core of our repertoire. Gaude’s debut concerts took place in December 2015 to an overwhelmingly positive response in San Jose and San Francisco. The 2017 calendar year includes Gaude’s return to Old First Concerts in San Francisco, as well as repeat performances in San Jose (at the 2017 ACDA-CASMEC Conference) and new ventures in the North Bay. For more information please visit http://www.gaudesf.com/. Samuel Faustine plays Colonel Fairfax in this dark musical comedy, full of lies, deceit, and corruption, set in 16th century England’s bloody Tower of London. The closest thing to grand opera in the Gilbert & Sullivan repertoire. Combining poignancy and tragedy with humor to an extent not seen in any other Gilbert libretto, and boasting some of Sullivan's finest work, Yeomen is considered the best of the canon by many G&S fans. ADMISSION: $5 Members; $10 general, advance tickets required for seating. Featuring Puccini, Verdi, Offenbach, Bernstein and many other of the Greats! Come see arias and duets from some of the most prominent operatic voices in the Bay Area! This is the second installment of a large, hour-long work for vocal quartet, percussion quartet, and two keyboards, based on a book with the same name by Dr. Richard Selzer. This semi-staged work uses Dr. Selzer’s lyrical, and often graphic, musings on surgery and the mysteries of the human body. Not quite an opera, and not really music theater, this work is a “medical oratorio” that finds the teases out the sacred elements in the operating theater. Scream in horror. CIRCUS SCREAMS is here. Screams rend the air, blood stains the ground, and the show goes on. Circus performers are being killed. The psychotic motorcycle stuntman, Suicide Sid is killing off other circus performers. One by one they are falling. By blade, hanging, arrow, and flame. It’s unnerving. It’s horrifying. And it won’t stop until he is left with no other choice, but to take to the air and end it. CIRCUS SCREAMS is a circus music travesty. From front to back, elephant trunks to motorcycle stunts, the music swings between deadly circus acts and the ravings of a lunatic mind. It’s ThePhantom of the Opera minus the love story. It’s Ringling Bros. minus the happy ending. It’s CIRCUS SCREAMS and it’s horrifying. This show is for all ages. Parental guidance is recommended. Doors at 7pm. Show at 8pm. Runtime approx. 60 minutes. And now, a little bit about PianoFight!